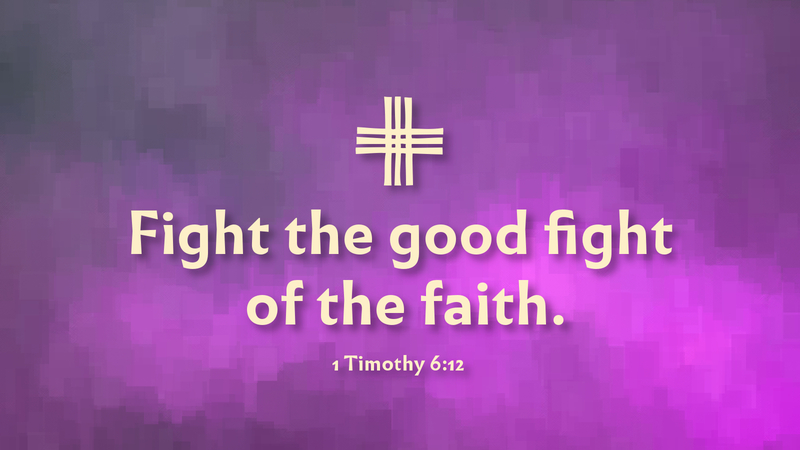 “Fight the good fight of the faith; take hold of the eternal life to which you were called when you made the good confession in the presence of many witnesses. In the presence of God who gives life to all things, and of Christ Jesus who in His testimony before Pontius Pilate made the good confession, I charge you to keep the commandment unstained and free from reproach until the appearing of the Lord Jesus Christ; and this will be made manifest at the proper time by the blessed and only Sovereign, the King of kings and Lord of lords, who alone has immortality and dwells in unapproachable light, whom no man has ever seen or can see. To Him be honor and dominion. Amen” (1 Tim 6:12–16). The advantage to the daily lectionary is that we read lessons that are not the ones read in worship on Sunday, but provide another dimension to the day which is being observed. This is especially true on Palm Sunday, which is why I am offering a devotion for Palm Sunday. We are familiar with the Palm/Passion Sunday liturgy—beginning with the palm procession, continuing with the reading of the Passion, ending not with joy and the waving of palms in welcome, but with the somber reality that Jesus is going to His death. The reality is, we do waver and weaken in life. But we pray that, when the time comes for us to face opposition and trial for the faith, we will make our good confession in the presence of God who gives life to all things, and of Christ Jesus—the King of kings and Lord of lords who was a witness not only by His words, but by His life, by His blood, given and shed for you and for me! Prayer: Almighty God, we praise you for Jesus Christ, who by His blood has won our redemption, and by His obedience, gained for us forgiveness of our sins and eternal life; through the same, Jesus Christ our Lord. Amen. Amen.